We all want a clean environment but sometimes, because of our busy lifestyle, we unintentionally neglect it. If you have no time to clean your house, you should look for other alternatives. You can consider hiring professional and skilled cleaners for instance. With these individuals, your home cleaning concerns will be fixed. You should begin your search for efficient cleaners as soon as you realize your house is getting dustier and more crowded with clutter. Bear in mind that there are many companies providing Home Cleaning services but you also have the option to do the cleaning on your own. If in this case you choose to save money and do things on your own, you should search the internet or read magazines for a start. There are many ideas and techniques that you can get when you consider reading blogs or magazines. If you do not want to search or read, you can ask your friends or relatives so they can help you with the tidying tasks. If you are working, it is important that you learn how to manage your time. You need to make sure that you have time for everything – from grocery shopping to attending parent-teacher meetings. Being a mother, housewife and an employee is challenging but you have to get through everything for the sake of your kids. You should know that tidying the house is important for the health of your kids. Do not ignore or underestimate cleaning because later on, it might affect your child’s wellbeing in negative ways. Aside from sourcing out, you should also pay enough attention to dealing with your cleaning schedule. This is a must for every efficient home cleaning whether professional or DIY. You may spend all your hours in the office for five days but when the weekend arrives, you need to give way for cleanliness of the house. This activity is indeed exhausting and time consuming but if you are serious about the health of your children, it is all possible. You should invite the family to contribute for the cleanliness of the house. Sometimes they will not consider it but if you continuously promote it, they will yield. You need to post a schedule in place where the family can see and read it. You should know your progress. In almost anything, when you track your progress and you know how far you’ve reached, you are inspired or determined to finish it. This is the same with tidying. If you have kids or toddlers around, they constantly leave a mess. The best time to clean everything is during their sleep or playtime. One way to clean the house effectively is to set the timer and make sure you stick to it. You have to set a time to clean a specific place. For example, in the bedroom, you set to clean it for 30 minutes. Do your best to stick to it so you can finish everything in the right time. 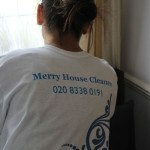 If you want to know more about efficient Home Cleaning London, please phone us on 020 3912 1188. In our busy Life style, We have no time to clean our home but Home clean is the first Priorty because everyone wants to see clean home. So, The best way to hire the professional cleaning company. Nowadays, Reputed cleaning companies are doing good job, they providing high quality services to the customers either residential or commercial.